Driverless cars once seemed like the stuff of science fiction. Today, the possibility of a world with cars that can drive autonomously, without human intervention, doesn’t seem that far fetched. Companies are already developing prototype vehicles that would use technology like GPS, computer vision, radar, lidar and odometry to operate. These companies include Google, Mercedes Benz, General Motors, Nissan, Renault, Peugeot, Audi, Volvo, Toyota and more. Tesla also introduced a software update in 2015 that allowed one of its models to steer, park and change lanes autonomously. It seems driverless cars could very well be part of our not too distant future. 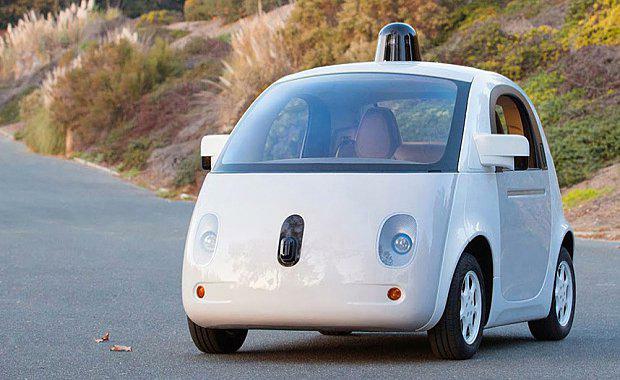 Going out for dinner and having a few drinks would be a breeze with a driverless car. There would be no more arguments with your friends or family about who was going to be the designated driver or worrying about how much alcohol you have consumed before driving. An autonomous car could take you home safely, providing you with peace of mind. Are you sick of devoting your weekends to completing chores? A driverless car could pick up your dry cleaning or grocery shopping. They could also take you to appointments like coffee with friends, the hairdresser or more. Most car crashes are a result of human error. Some of the common causes are being distracted (talking on the phone, texting), not looking properly, driving too fast or too slow, and misjudging your own and/or other driver’s movements. Introducing driverless cars would eliminate many of these problems on the road. Driverless cars would have to obey all road rules and speed limits and they would have sensors on board to help them monitor their surroundings. If reverse parallel parking is the bane of your existence, a driverless car will be perfect for you. Thanks to sensor technology, driverless cars will be able to park easily and skillfully. Time to banish those memories of finding a car park at Westfield in the days before Christmas to the furthest recesses of your mind. Access to motor vehicles will be available to everyone, including people with a disability and elderly people who are physically or visually impaired. Driverless cars will transform the lifestyles of many people who cannot currently drive, providing them with more independence and freedom. Driver’s licenses would no longer be a requirement. As mentioned previously, driverless cars will be able to drive far more efficiently and safely than humans. They will also be able to navigate the best routes through cities – avoiding traffic and other obstacles – by using GPS technology. The payoff? There will be fewer traffic jams on the roads, meaning that commuter times will be reduced, as will anxiety and stress. With people not having to worry about driving any more, car companies could reconfigure the interiors of cars so they were more comfortable for passengers. Seats could face inwardly, TV screens or computers could be installed and there could be more legroom. Travelling in a car would be entertaining and fun. Image a world where you have on-demand driverless cars. There’s less traffic, less likelihood of motor vehicle accidents and your daily commute has been drastically reduced. Getting everywhere is super easy, stress-free and enjoyable. With this in mind, will people want to still live in the city, or close to it?A nation of driverless cars could push people to live further out in the suburbs for a more affordable price and still enjoy a good lifestyle. And with more offices offering telecommuting options for their workers, this could be a real possibility. Our future may see developers building more new dwellings and infrastructure in the outer suburbs, significantly changing our urban landscape forever.